A centre incorporating a student lounge space, purpose built meeting rooms and open plan office space has opened at Nottingham Trent University’s City Campus. The University’s Global Lounge, which offers international and UK students space to meet, host events and promote internationalism, is moving down the road from its current Goldsmith Street location into the new building at 23 Goldsmith Street. Staff from the International Development Office, who support students recruited from abroad to study at Nottingham Trent, will also be located in the office building. Staff from the Global Office and International Development office started moving into the new building today (March 4) with further moves planned throughout the month. 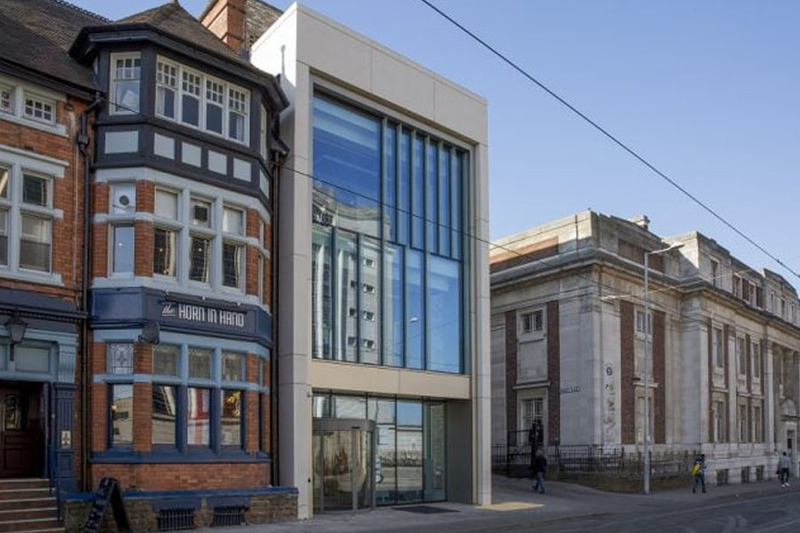 The University bought the building – the site of the former Posh Spice restaurant which was left derelict following a fire in 2010 – and worked with G F Tomlinson and CPMG Architects to transform it into a modern office and meeting space.